IPhone 6 (both versions) against LG G3. Who will win? Launching on the market the iPhone 6 in two versions - with 4.7-inch and 5.5-inch screens, Apple has set foot on the warpath. Phones intersect with the LG G3, a 5.5-inch tabletop that has an interesting Arsenal of features vs functionality the iPhone 6 Plus. This is a great-looking, powerful smartphone, which once again confirms that Android phones dictate fashion (like it or not). It even has lasers! In the literal sense. But how can the QHD monster from South Korea to stand against the shining metal killers Apple with big screens? LG has launched production upgrade firmware Android 4.4 KitKat for your LG Optimus G Pro. 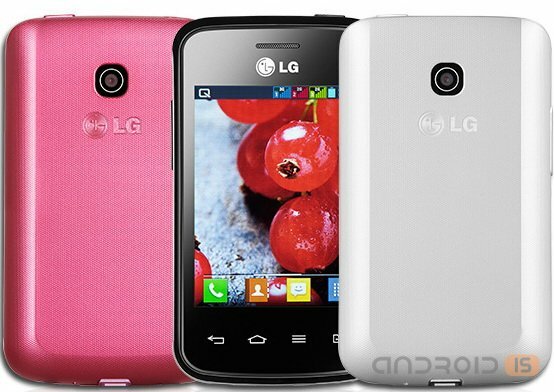 The first market for new products became the birthplace LG - South Korea. 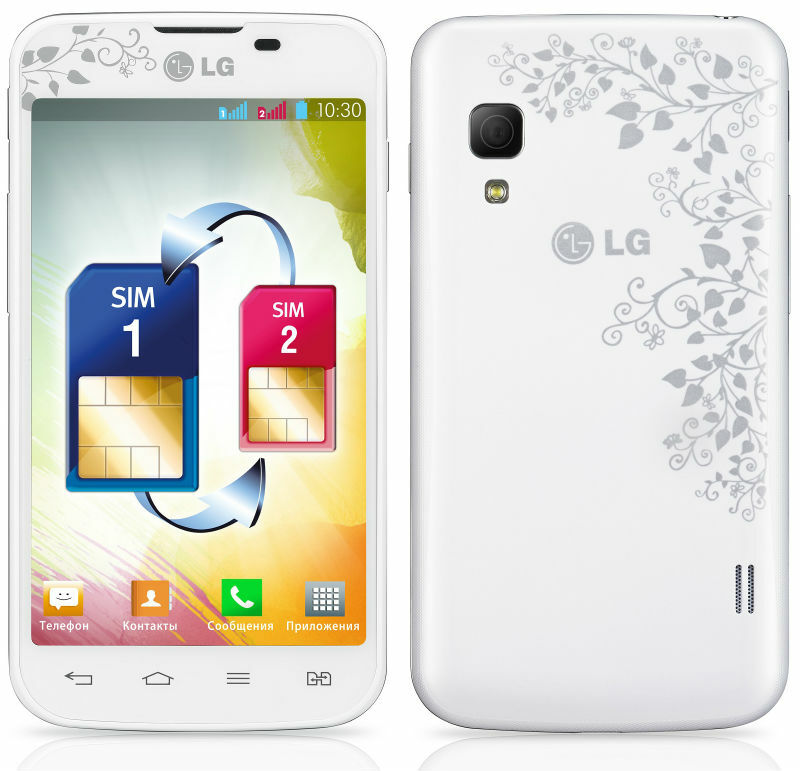 The Company LG announced on the market a new device with a funny name Optimus L1 II Tri E475 index model (not to be confused with the food additive), feature of which was three slots for SIM-cards. 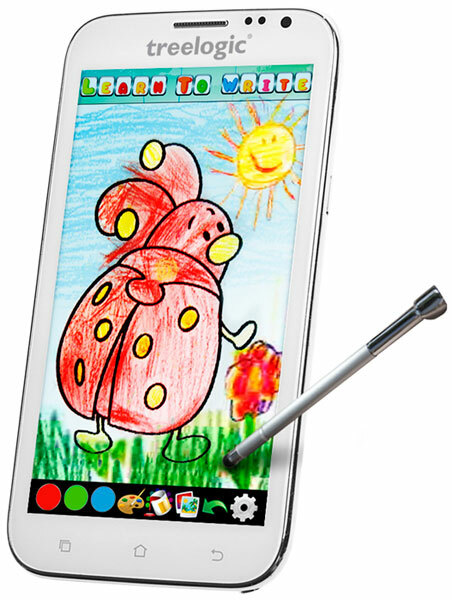 In the market for quite a long time did not appear Android smartphones with QWERTY. 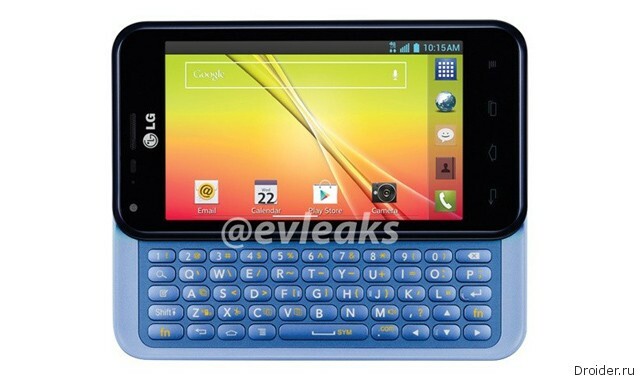 But, if you believe Evleaks, in the near future the company LG will present a model equipped with a physical keyboard. The Company Treelogic announced the start of sales on the Russian market its new device Optimus TL-S532. 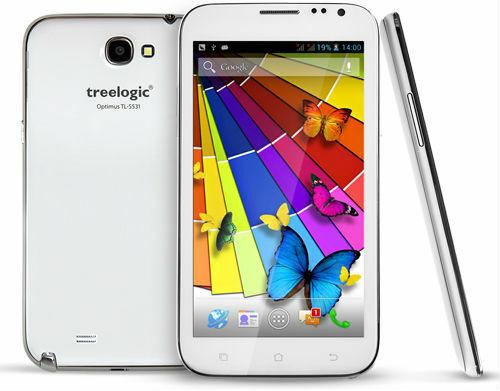 The Company Treelogic, one of the leading manufacturers of high-tech devices is a new smartphone Treelogic Optimus TL-S532. Looking at Android devices to test their apps, but there is no access to the latest mobile devices? The residents of USA and Canada - lucky. LG is going to meet them. LG was to phablet Optimus G Pro - LG Optimus Vu 2 and its subsequent generation. Now the company is preparing its third iteration, and following a new tradition of symbols called his device simply the LG Vu 3 (not Optimus). 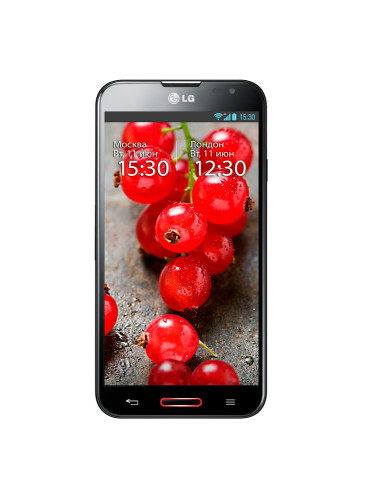 LG has announced a budget device called Optimus L1 II (E410), which will join the line of smartphones L second generation (review for smartphone LG Optimus L7 II Dual). The South Korean company LG Electronics announced the beginning of sales on the Russian market smartphone LG Optimus L5ᶦᶦ Dual in a new original design with decoration in the form of floral prints, located on the front and back panels of the smartphone. 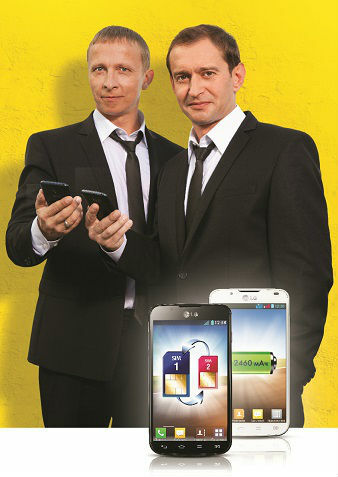 The Company LG Electronics and Euroset reported the start of the advertising campaign smartphone Optimus L7II Dual popular actors Konstantin Khabensky and Ivan in the air of the Russian Federal TV channels. 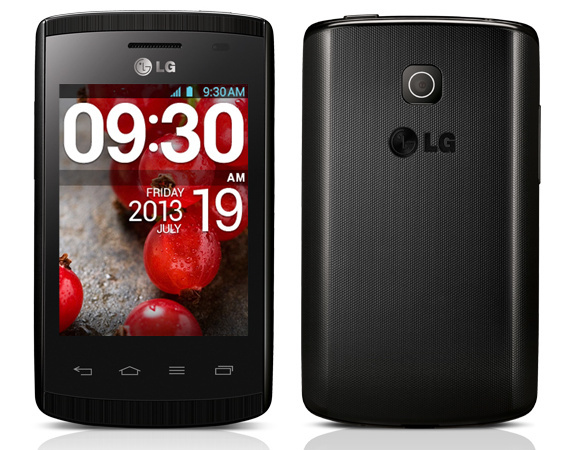 LG Electronics (LG) launches on the Russian market flagship stylish smartphone LG Optimus G Pro with 5.5-inch FULL HD IPS display, powerful battery and new high-tech features for vivid impressions. 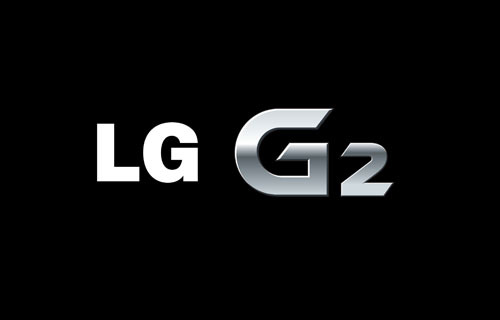 The President and acting CEO of LG Electronics Mobile Communications John-s Pak (Jong-seok Park) officially informed about changing the name of the new flagship Optimus G2 and shared plans for sales autumn debutant. 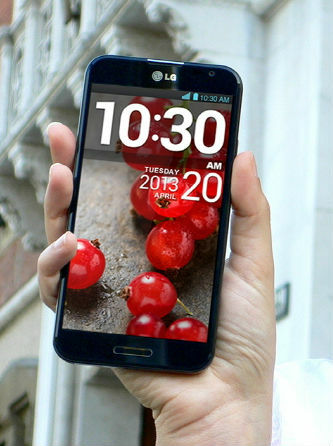 The South Korean company LG Electronics has officially confirmed that its next flagship model, which will lead the lineup of Android smartphones will be the Optimus G2. The South Korean company LG Electronics announced global sales of its new top-end smartphone Optimus G Pro features a 5.5-inch IPS display with Full HD resolution and 1.7 GHz Quad-core processor Qualcomm Snapdragon 600, 2 GB of RAM and support LTE networks. 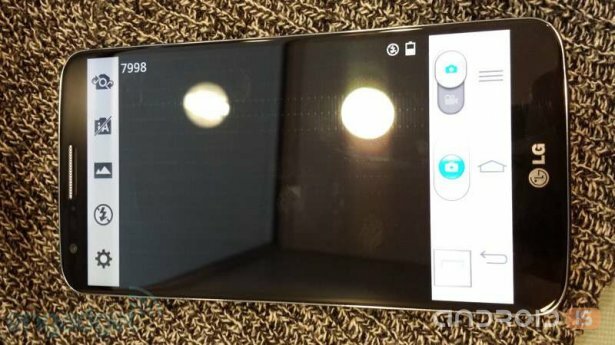 More recently, the Internet got photos of the new smartphone from LG, Optimus G2, they were very low quality and nothing special for them to be considered failed, but just yesterday in the Internet appeared new pictures of this smartphone and what better than a video which shows it from all sides. 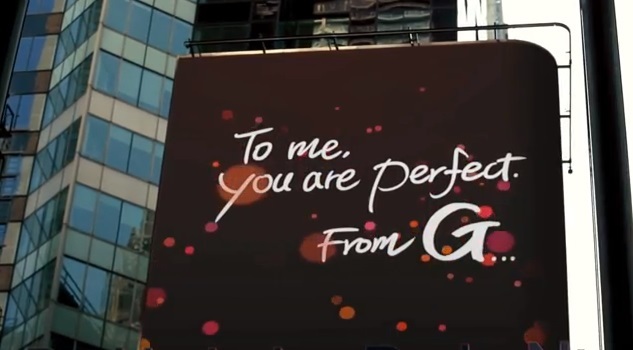 The South Korean company LG Electronics has released a teaser video, timed to the premiere on August 7 in new York, the new smartphone model line Optimus G.
Some few months ago, we looked at the first photo, presumably the latest flagship from LG, codenamed G2, who graciously shared with the Internet community friend Evleaks and wondered: "What is hidden under this blue screen?" 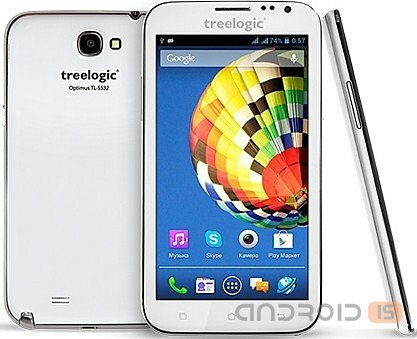 The Company Treelogic introduced a new smartphone Treelogic Optimus TL-S531, which has support for two SIM-cards, a dual-core processor and 5.3-inch qHD-screen, GPS/AGPS module, two cameras (8 MP and VGA), 512 GB RAM, 4 GB internal, FM radio, and democratic price.